I bought them directly from the Courvoisier dealer in Pensacola Florida. Premier Beverage was the dealership at the time. Thank you for submitting your item for appraisal. 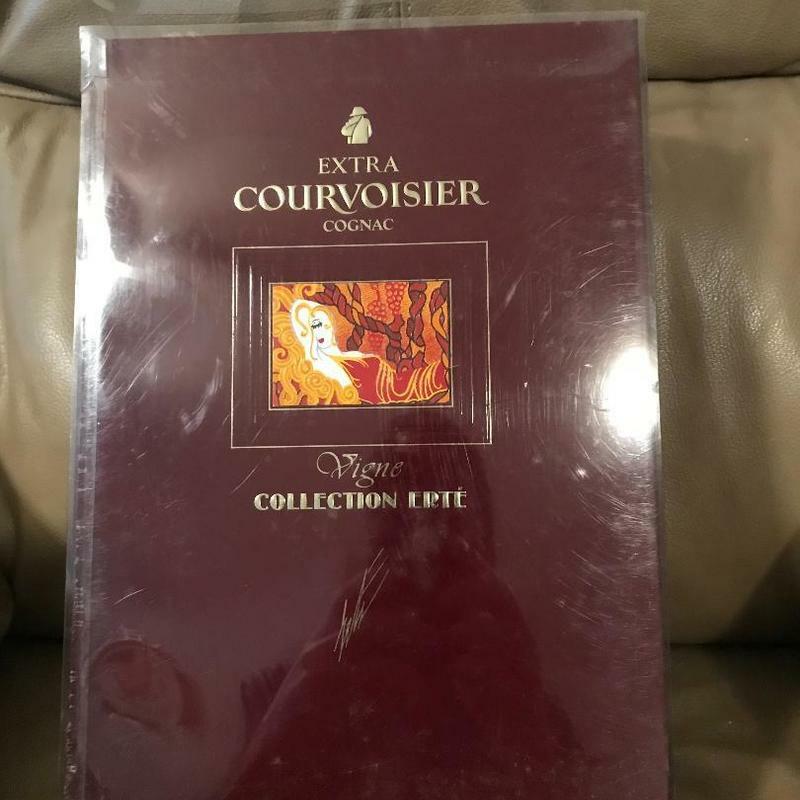 This appears to be a #1 Erte Courvoisier Extra Cognac collectible bottle with content, transfer printed design after Erte, boxed and with original papers in apparently good condition, issued ca. 1990. Similar has been offered and sold at auction in the recent past. The estimate is based on these auction results. The estimate is for this one bottle. The set of 8 recently sold for approx. 6000 USD in a well advertised auction. I also have the display case for the first 7 bottles from Courvoisier. It was made before they knew about the 8th bottle coming out. Would this increase the value? A little bit I assume. This is usually bought to impress other businessmen and actually consumed then and there. Are these bottles something you would be interested n selling?